It’s been called the best business model in the world. And subscriptions aren’t just for media businesses. Gartner forecasts that by 2015, 35% of Global 2000 companies with non-media digital products will generate up to 10% of their revenue from recurring models. Are you ready? Ongoing monetization is a key part of disruptive digital selling. Consumers flock to these businesses because they offer a superior product experience, enable costs to be amortized, and provide a guarantee that vendors will always work hard to ensure their satisfaction. In return, enterprises maximize customer loyalty, secure predictable revenue, and often gain a significant competitive advantage. Other industries are catching on quickly. As James McQuivey of Forrester Research puts it, “every business–no matter how analog–is susceptible to the same digital overhaul.” Companies in fields as diverse as life sciences, computer hardware, and traditional manufacturing are all seeking new ways to create revenue through subscriptions to diagnostics, data analysis, consumables, and professional services. I recently spoke with an executive from a heavy equipment company whose top strategic priority is switching to digitally-enabled subscription pricing for tractors and excavators. The times are indeed changing. Both vendors and consumers are deeply in love with recurring business models. For enterprises, the advantages come in the form of predictable revenue, lower cost of acquisition, and the ability to scale revenues with expenses. Combined successfully, these traits almost always translate into higher company valuation. For consumers, spreading out costs over time evens out cash flow and provides an assurance that the vendor will continuously strive to improve their offering on an ongoing basis. Subscription – A fixed payment for access to products and services, for a specific period of time. 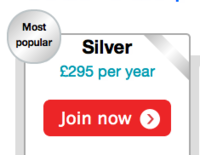 Flat rate pricing, unlimited consumption, and membership fees all fall into this category. Usage – Per-use or per-unit charges that are usually recorded automatically on a preexisting account. This includes offerings such as pay-per-play, pay-per-view, metered usage, or bandwidth billing. Freemium products often fall into this category as well. Subscription plus usage – A combination of a fixed subscription with overage charges or incremental units that are billed individually, usually to a preexisting account. Correctly triangulating the above flavors with your product offering and the needs of your customers is vital to success in the subscription economy. It’s important to remember that even within a brand, different products demand different types of monetization. For example, Apple markets an ongoing service like iTunes Match as a subscription while charging unit costs for individual media titles to your account. Subscription management – Creating and managing the basic plans and units of service that make up a subscription product, while capturing the sales of these products from existing touchpoints. Usage management – Tracking the consumption of subscription and usage products so that appropriate customer access and billing can occur. Billing management – Recurring charges create new customer scenarios such as periodic invoicing, authorizations, and dunning (dealing with failed payments) that must be handled by the subscription management system. With these capabilities in place, businesses can quickly monetize their offerings and start earning recurring revenue. But it would be a big mistake to just stop here. As I mentioned earlier, the benefits of a subscription business come with the responsibility to continuously improve, or else customers will pick up and leave. Doing so effectively requires a little more technology. To fully realize a recurring revenue business, enterprises need to develop a few more competencies. Because everything in the subscription economy revolves around the customer relationship–identification, authentication, entitlements, preferred touchpoints, usage data, and key metrics like lifetime value and churn–it’s vital that companies deploy the right technology to capture, analyze, leverage, and distribute this information effectively. Entitlements – Managing precisely what products, services, or units a customer may access, when, and through what touchpoints, including via third parties or affiliates. Offers – Being able to create and manage compelling bundles of products and services that are responsive to the history, behavior, and context of the customer as they engage with your product experience across multiple channels. Content Management – Disruptive subscription businesses place novel demands on content management systems, so strong capabilities in this domain are important. As every interaction becomes a potential commerce touchpoint, seamless integrations between content and transactions become critical. Delivery and fulfillment – Magic happens when your subscription offerings seamlessly integrate into your customer touchpoints, whether it happens to be a smartphone app, someone else’s piece of software, or the dashboard of a tractor. As digital commerce systems weave their way into every customer experience, the ability of your systems to scale through high-quality APIs will give you an important competitive edge. Intelligence – Being able to analyze the vast amount of information generated by the above activities, and then make actionable decisions based on it, will become a critical competency. Developing these capabilities will allow you to participate fully in the disruptive subscription economy. Researchers and analysts agree that recurring business models based on digital commerce will soon be adopted in every industry, and that they will drive significant revenue growth in the coming years. Will you earn your share? 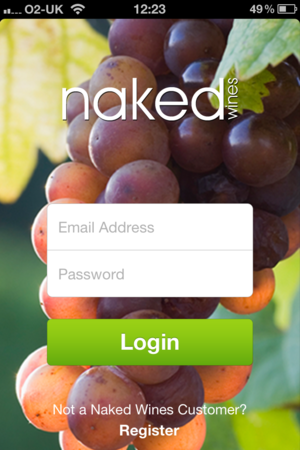 Naked Wines this week launched an iPhone app for use by registered customers on the site (Angels in NW parlance). The app allows users to review wines, connect with other customers, and place orders. Today, PulsePoint released new research in conjunction with The CMO Club and Digiday on what they are terming the Digital Divide. This report examines digital marketing capabilities, top challenges and priorities of brands, agencies and publishers. PulsePoint first decided to conduct a study to analyze the gap in perception between publishers, advertisers and agencies and how they use digital channels. Surprisingly, there was not much difference between the groups but rather between what they were doing and what the consumer expected. With Silicon Valley partying like it’s 1999, it’s no surprise that everyone wants to be entrepreneur. Maybe you have a great idea for an app, or know precisely how to disrupt a big industry with a new cloud-based software offering. Unfortunately, if you weren’t born writing Ruby on Rails applications and Python scripts, the only thing standing between you and a $1bn acquisition is having a real product. And so it goes that Silicon Valley is filled with two groups of entrepreneurs today: the cool kids who have the chops to build stuff and the non-technical entrepreneurs who want to team up with them.